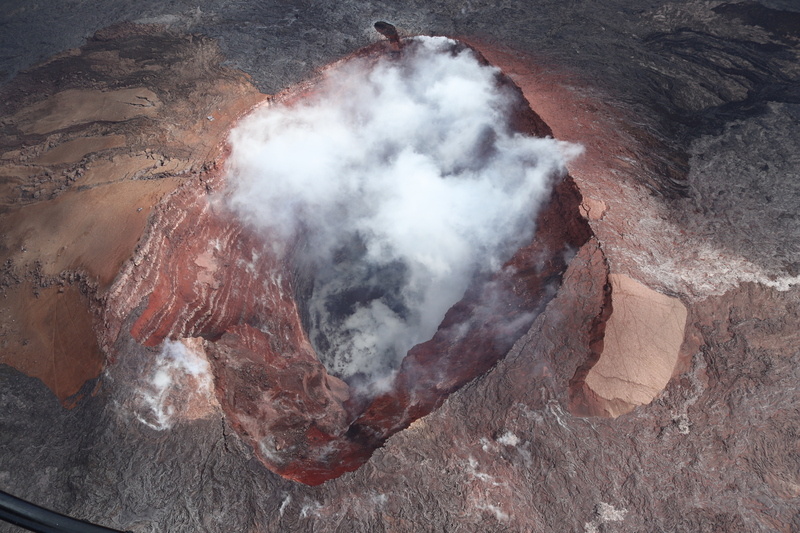 By U.S. Geological Survey Hawaiian Volcano Observatory scientists and colleagues. Only small amounts of sulfur dioxide (SO2) and hydrogen sulfide (H2S) are currently being released from Kīlauea, but they chemically react with each other (oxidation-reduction reaction) to form the bright yellow sulfur deposits visible on the crater walls within Halema‘uma‘u. The current low sulfur emission rates at Kīlauea have contributed to beautifully clear skies in downwind areas. PC: USGS photo by M. Poland, 03/22/2019. The end of Kīlauea’s 2018 eruption this past September was accompanied by an enormous decrease in the amount of sulfur dioxide gas (SO2) emitted from the volcano. 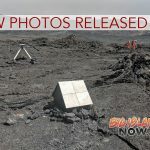 This has led to beautifully clear skies gracing the Island of Hawai‘i, particularly noticeable on the west side, where the volcanic pollution known as vog chronically collected in past years. During the peak of the 2018 lower East Rift Zone (LERZ) eruption, when the volcanic emissions and vog were both much stronger, a team of academic researchers worked with the U.S. Geological Survey’s Hawaiian Volcano Observatory and the Hawaii State Department of Health to study the intense volcanic air pollution events generated by the eruption. The researchers, U.K. scientists from the Universities of Leeds, Cambridge and Oxford, sampled volcanic particles and gases at the LERZ fissure 8 vent, the ocean entry, and various sites downwind (Leilani Estates, Orchidland Estates, Volcano, Pāhala, Ocean View, and Captain Cook). To determine the nature and composition of the volcanic pollution, samples were collected by pumping air through filters, from the ground and from the air using drones. The tiny particles captured on the filters were then analyzed in the laboratory for chemical composition and imaged using a powerful Scanning Electron Microscope (SEM) to determine the composition of individual particles. Other instruments determined the number or weight of particles of various sizes, which are associated with different health impacts in studies of human-caused pollution. The samples were analyzed for pH (acidity); major components, including sulfate, fluoride, and chloride; and trace metals, such as lead and arsenic. These analyses targeted chemical species that we know are present in volcanic plumes. Kīlauea’s plume is composed primarily of water vapor, carbon dioxide, sulfur dioxide (SO2), and entrained air, along with smaller amounts of other gases, including hydrogen chloride and hydrogen fluoride. SO2 reacts in the atmosphere over time to form tiny acidic and neutral sulfate particles, which are a major component of volcanic pollution in Hawaii. Small amounts of toxic metals have also been found in the volcanic gas plumes emitted from Kīlauea’s vents (see https://vog.ivhhn.org/vog-fact-sheets). The summer 2018 gas and particle sampling campaign was the first effort to look at how trace elements, such as metals, change over distance in the Kīlauea plume. It was found that the amount of these elements was highly variable but was not solely predicted by the distance of the plume from the vent. Most of the particles (99%) were less than 2.5 micron in diameter—small enough to penetrate deep into the lungs. The study’s findings also support previous observations regarding the chemical conversion of SO2 gas to particles. Areas far from the gas source, such as along Hawai‘i Island’s Kona coast, had high particle concentrations since much of the SO2 gas had converted to particles as it travelled downwind. Ambient air quality standards for both SO2 gas and particles were exceeded at various locations on the island during the three months of the LERZ eruption. In contrast to last summer, Kīlauea’s current lull in activity provides an excellent opportunity to study background air quality. This can help us distinguish between anthropogenic pollution, such as traffic exhaust, and volcanic pollution. While controlling emissions from a volcano is not a practical proposition, understanding the contribution of human-made pollution, which can be controlled, is important on an island with a growing population. To address the characterization of anthropogenic pollution, the same research team plans to return this coming summer to sample the background air without the volcanic contribution, using the same equipment and sampling sites. The “before” and “after” snapshots will help to isolate the chemical fingerprint of the volcanic particles. This will improve our understanding of the potential health, environmental, and ecosystem effects of volcanic plumes. 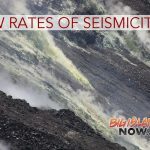 The eruptive events of 2018 have reshaped the land and the lives for many residents in Hawai‘i Island’s lower Puna District. The end of the eruption allows all of us across the island to breathe more easily, literally and figuratively, and provides an opportunity to better understand the chemistry and impacts of the Kīlauea volcanic plume. The USGS Volcano Alert level for Kīlauea, which is not erupting, is at NORMAL. Rates of seismicity, deformation, and gas release have not changed significantly over the past week. Deformationsignals are consistent with refilling of Kīlauea Volcano’s deep East Rift Zone (ERZ) magma reservoir. Sulfur dioxide emission rates on the ERZ and at Kīlauea’s summit remain low and have been steady over the past several weeks. 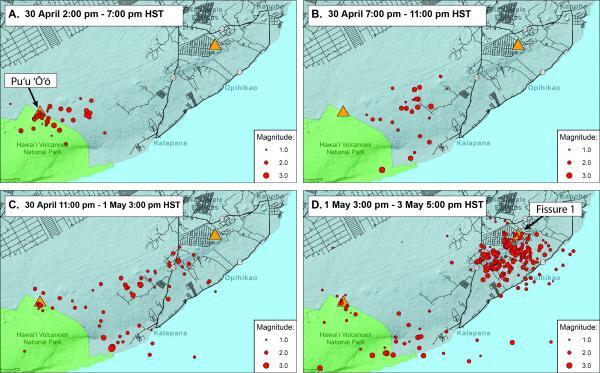 Three earthquakes with three or more felt reports occurred in Hawai‘i during the past week: a magnitude-2.8 quake 16 miles west of Pepe‘ekeo at a depth of 21 miles on April 1, at 9:42 p.m. HST; a magnitude-3.4 quake 6 miles northeast of Pāhala at a depth of 19 miles on March 31, at 7:49 a.m. HST; and a magnitude-3.7 quake 1 mile southeast of Kapa‘au at a depth of 24 miles on March 29, at 8:29 p.m. HST. Hazards still exist at the lower ERZ and summit of Kīlauea. 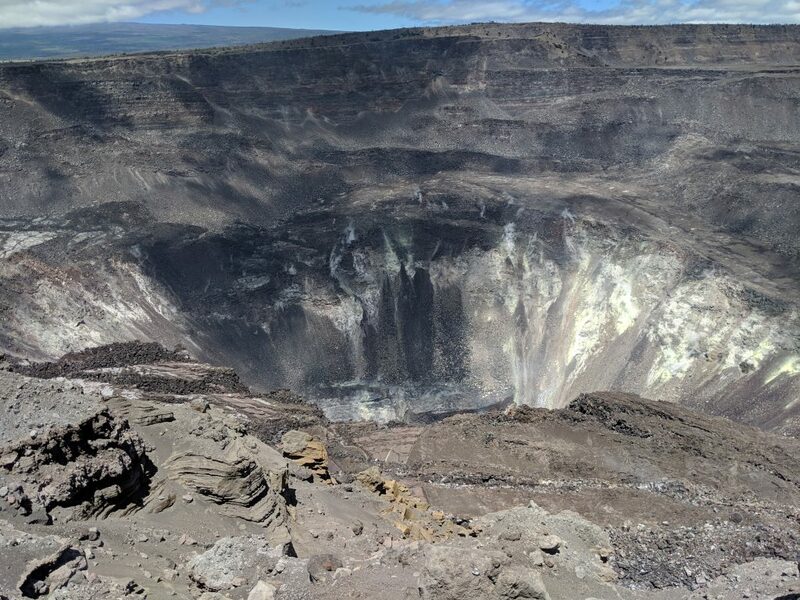 Residents and visitors near the 2018 fissures, lava flows, and summit collapse area should heed Hawai‘i County Civil Defense and Hawai‘i Volcanoes National Park closures and warnings. HVO continues to closely monitor Kīlauea for any sign of increased activity. What Caused—or Did Not Cause—2018 Kīlauea Eruption?